Many skiers overlook replacing your helmet. 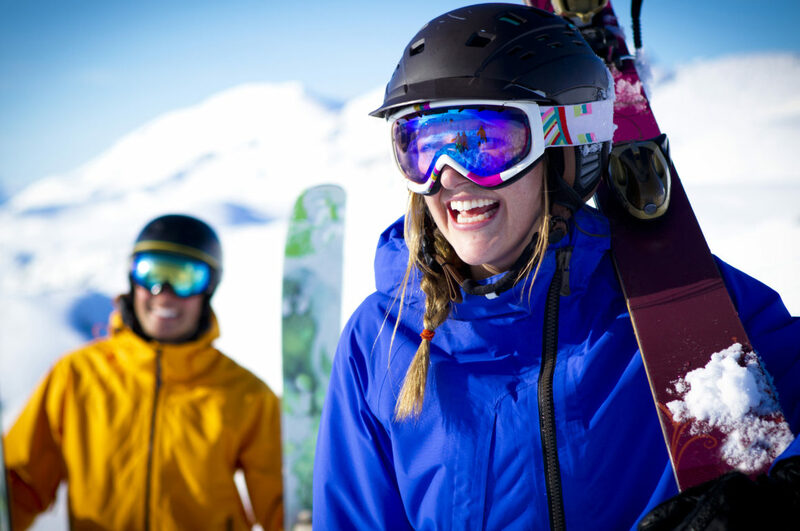 As referenced in our How to Tell if you Need a New Ski Helmet Blog we posted last season, 80% of skiers and snowboarders are wearing helmets, but most skiers are not replacing them as often as they should. This seasons crop of helmets have never been better. This list will include some of our old favorites that are still extremely popular and some new helmets that feature the latest bells and whistles in the latest and greatest colors. POC Auric Cut Communication With its simple look and style, and basic colors (only black and white this season) any skier will fall in love with this helmet. An integrated POC Aid Communication Headset allows you to crank out your own tunes with amazing clarity. The speakers and microphone also gives you the easy ability to stay connected with your group on the mountain, but hopefully not taking business calls from the lift. Adjustable Ventilation prevents you from overheating. The ABS Shell and Multi-Impact EPP Liner is loaded with durability and protection. The Smith Vantage MIPS falls into the old favorite category, but this helmet has been ahead of its time since it was first introduced a few seasons ago. The Hybrid SL Shell Construction is very lightweight on your head. Aerocore Construction uses Koroyd as extra protection, by being able to crumple upon a severe impact to absorb energy. The Dual Regulator Adjustable Climate Control is a must have for skiers who run hot on the mountain to easily adjust the amount of air moving through the helmet. Smith uses the Boa FS 360 Fit System that helps you dial in the perfect fit by adjusting the dial on the back of the helmet. 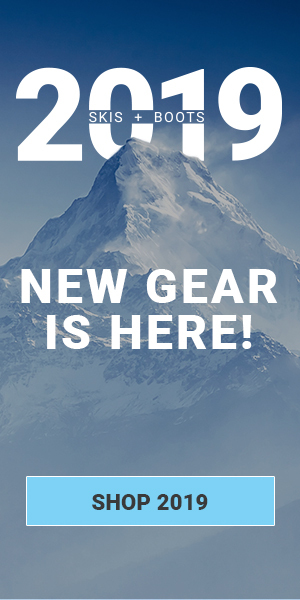 The Giro Range MIPS features one of the most unique fit systems available in snowsports today. Giro’s Conform Fit Technology has a two piece shell that can expand and contract when you crank the dial to get that perfect fit. This low-profile design has an integrated POV Camera Mount on the front seam of the helmet so you can have proof of that uber deep powder day for the boys back in the office. Stack Ventilation uses two vents on either side of the brim that keep the air circulating inside your goggle frames to prevent foggy lenses. An XT2 Anti-Odor Padding in the liner is permanent, so your lid will be feeling and smelling fresh for seasons to come. The Oakley MOD 5 MIPS makes the list its second year of production. The MBS (Modular Brim System) gives you two different size brims that you can swap out for style points or to accommodate a large framed goggle. The Hybrid Shell is very lightweight on your head. Oakley’s No Pressure Ear Cups feel very comfortable over your ears, allow you to hear better on the mountain and believe it or not improve your balance, which is so important when you are skiing. The Boa Fit System dials in the fit just right, and the liner is removable if you want to wear a beanie. The Pret Cirque X has a little more of a new school look compared to the previous helmets on this list. Pret’s 4 Tuned Ventilation System has different air channels that move air through the helmet with the flip of a switch located on the top of the helmet. Front and rear channels move moist air out the back of the helmet, even when the vents are closed. Although Pret uses MIPS, they do not call it out with the naming of their helmets. Any Pret helmet with X in the name is equipped with MIPS. Helmets with MIPS (Multi-Directional Impact Protection System) have a low-friction liner that rotates upon an oblique impact to absorb energy rather than transferring it on to your head. Since your helmet is one of the most important pieces of safety equipment on the slopes, it is very important to ensure that it fits correctly, if you need assistance finding the correct size with the proper fit, please take a look at our Sizing Guide for Ski Helmets. For our entire selection of ski helmets visit us at SKIS.com and as always be sure to follow us on Facebook and subscribe to our blog below.